: Cost of OMG! Carpet Cleaning Franchise? How Much Does It Cost to Own an OMG! 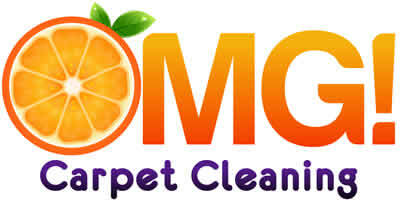 Carpet Cleaning's Franchise? Owning a OMG! Carpet Cleaning franchise can be a lucrative business, but it does have some initial financial requirements. To open a single franchise location, the company requires that potential franchisees have liquid assets of at least $30,000. OMG! Carpet Cleaning falls under the 'cleaning & maintenance' franchise category. Inside this category, it is further subcategorized under 'carpet cleaning'. See how the investment level of OMG! Carpet Cleaning's compares to those of other available franchises. NOT a franchise. NO ROYALTIES. You worked for the money, you earned the money, you keep it! The carpet cleaning industry has been using the same over-wetting process and soapy cleaning solutions since the 1940's and OMG! has a better, simplified way. Welcome the the new way to own a business. You've decided you want more out of life for you and your family. At OMG! Carpet Cleaning we help make those dreams come true. You are in complete control of your business. You get the support you need and you reap the benefits of the work you put into it. With comparatively low start up costs and minimal overhead you won't have to worry about exorbitant fees that will need to be paid before you realize a profit. OMG! Carpet Cleaning is not currently accepting new franchise inquiries through this site. Please see our comprehensive directory for currently available franchises near you.